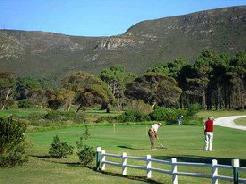 Erinvale Golf Estate nestled at the foothills of the Helderberg and Hottentot Holland mountains in Somerset West near Cape Town is one of South Africa’s great golfing challenges. Situated high up in the beautiful wine region, Erinvale’s breathtaking mountain and sea views are an integral part of this unforgettable golfing experience. 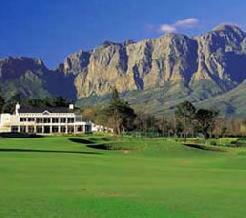 Erinvale played host to the 1996 World Cup of Golf in which thirty two participating nations competed. This is an estate course of two distinctly different nines. The front nine is on the flat, winding between the many houses in this part of the estate, while the back nine climbs up the lower slopes of the magnificent Helderberg mountain, with breathtaking views of the coastline from the top holes. Designed by Gary Player, Erinvale’s beautifully manicured par 72 championship course boasts some of the country’s most challenging and spectacular holes. 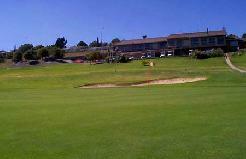 The greens at Erinvale are huge and well-shaped allowing for several different pin placements. 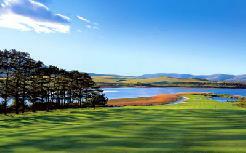 Erinvale is also a real estate development where homes blend well into the landscape. Signature Hole: Par-four 17th hole, a great finishing hole that swoops downhill. You play from an elevated tee, with tall pines flanking one side of the fairway, and an out-of-bounds fence the other side. Course Design: Gary Player Design Co. Visitors welcome rest of year all days except Thursdays and weekends.